Given below are the details on Engineering Admission in Bihar 2019-20. The admission engineering programmes in Bihar state will be based on JEE Main 2019 and AH&V courses through NEET UG 2019. Established as an institute of national importance through an act of parliament in 2008, IIT Patna strives to provide world class education and an intellectually stimulating environment in an endeavor to develop well rounded individuals with technical and professional competence of the highest degree. 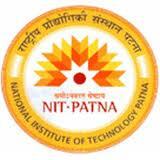 National Institute of Technology (NIT) Patna formerly known as Bihar College of Engineering is a public technical university located in Patna, Bihar.